Media people get tired of us. While we’re the link to their samples, the less they have to do with us after the samples arrive, the better. From their list of complaints, I’ve compiled the do’s from their don’t, of the top 10 faux pas of wine PR people regarding sending them samples. There were a couple of positive comments in the stream, and also the reminder about St. John’s rules from one PR pro; i.e., know the basics. The positives came from two wine writers that I greatly respect. Here are their helpful comments. My experience has been generally positive with publicists. I typically enjoy most samples but I don’t comment on everything, just the wines that stand out. I don’t mind one follow up at all it’s just the multiple ones that are annoying. Read the writer’s column or blog ahead of time, before sending samples. This allows you to better understand the person’s preferences. Perhaps your wine won’t match the person’s palate. Every writer’s preferences are different regarding samples and meetings. Put notes into your data base about the person’s preferences. If you’ve asked for their address in the past, they don’t want you to do it again, so make sure you keep a current data base. CAVEAT: It’s been my experience that many factors happen for this question being asked on the PR end, besides not keeping the database list, which was assumed. They don’t send any announcements to their list of people who provide samples to them. I do a lot of address updating this way. Call or email first, to see if your samples would work for the writer. Many of them want to give you permission to send the wines. Wines that just arrive without notice or permission really throw them off. So, always ask unless you know otherwise. Wine Enthusiast and Wine & Spirits are not, at this time, wanting you to take that extra step. Also, you need to be certain that someone will be there to receive the wines. CAVEAT: Writers pass away, and in your area it might not be announced. It’s happened to me, when the wine was returned. This person would always accept my wines. Then I wrote the obit as a public service on my wine blog. Send tasting notes along with your wine. If you don’t, they have to do the research; and if they don’t have time for research, you chances just got less for them to write about your wines. Send wines with price or production information. Expensive press kit binder need to also include this info. Put a sticker on every bottle outlining suggested retail, release dates, and a contact. Provide where the wine(s) can be found locally, if it’s a regional writer. It’s extra work, but worth the effort. MOST ANNOYING TO THEM: Follow-up questions, about them having received your wines or liking your wine(s), for the majority of the writers who responded. Writers want to taste and write, if they like your wine. If they didn’t like the wines, the saying, “no response is a response” applies. Tracking you wines tells you if the wine has arrived or not. Know your time of year, avoiding the dead cold of winter, or the scorching heat of summer. This one wasn’t on their list of complaints. In my playbook, it’s one of the most important ones, for preserving the integrity of the wine. As a blogger, when I get questions from people who have sent wine to me, I understand, because I have to walk in those shoes. So, I just politely give an answer. It only takes me a few minutes to do that. My thinking is that I ride both sides of the line. Being in PR has had me understanding both sides of the coin. I wrote, “Just pay for your own wines. You’ll never be harassed again…” I had one person who liked what I wrote, but no one else commented on it. It was a thought that immediately occurred to me, but I don’t think it went over well. It wasn’t too PRed. Thanks for the article Jo. While I personally practice much of what you preach here, I’ll be sharing this with the rest of my staff and discussing it at our next staff meeting. That’s really great, Michael. I like the info that was shared on Facebook, prior to my writing this. It gave me new ideas, too… Like Mia Malm’s finding where the locations of where wine can be locally purchased. I’ve never taken the time to do that one. Perhaps less time of Facebook and more research is needed for me. Great tip list, Jo! You reminded me of a couple additional things I could do to improve the sample/sent experience. Kudos! You’re welcome, Marcia. Already we seem to be collectively doing due diligence. Anyway, what gets under my skin is never the polite invitation or polite email about anything. Nor is it the unsolicited sample (though that might fall into a black hole). And it’s certainly not the personalized pitch: I’m flattered that you read my work, and even if I’m not going to do the story you suggest, I always try to respond politely to these. Once. The irritant is not the first question about whether I got something or want to attend something. It’s the SECOND question, when I’ve already answered the first. If I don’t want to go to your event, please let me say so only once. My tact reservoir is only one email deep. It’s a personal failing but it is what it is. If I have to tell you again … neither one of us is going to feel good after that email. And, it’s not in my file. You and I have always been polite to each other. 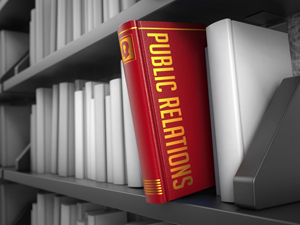 Public Relations: Public Relations, Media & Wine… A Tricky But Necessary Relationship. I am so glad that I was directed to this post by Stan the Wine Man’s story published today. While I have always felt I was approaching the media properly, I am very grateful that my perception of best practices has been confirmed. Yes, I do know, Bill. I’m also a freelancer,w hen it comes to my blog. And, I’ve been paid for my articles… Pennies on the hour. A story that I wrote and was published about winery cats… I traveled and photographed over 100 cats, all over California. I can’t even tell you how many hours, how much film and developing, how much writing. I got $150 for that one… Not even enough to pay for the film, much less the developing of slide film. You aren’t a blogger, you’re a journalist. And, you weren’t part of the stream that called our phone calls (when I have that hat on) as “harassment” for that call. What’s the most sad to me was the level of rudeness that I read. That’s what really motivated this story. The people who need PR the most don’t even realize it. XOXOX to you, too, Bill!